Our years of friendship with Frank are full of great memories of good times and fun and smiles and laughter. 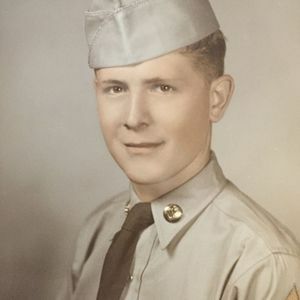 Frank was a loyal friend, always ready to share lunch at a chili parlor, always ready to help with the workload of getting meals ready for the Retired Teamsters Club or E T Carson Lodge. His devotion was evident as he shopped for the food and spent time preparing it the right way, cooking green beans with ham in his kitchen so it tasted great and not like it was from a tin can. He made sure that the annual spaghetti dinner had some marinara sauce for me since I don't eat meat. He gave us some curtains that his wife had sewn (she was a very gifted seamstress!) and they are proudly hanging in one of our guest bedrooms. I will treasure this gift for the rest of my days! Just an example of Frank's generosity and caring for others. We will continue to miss his friendship and will always remember his smile, his easy going demeanor, his helpful attitude, his kindness, his patience and his humor. Friends like Frank touch your life in extraordinary ways and we were blessed to know him and to call him our friend. May God greet you with open arms. You will live forever in our memories and in our hearts. God bless you Frank, Rest in peace. Life Stories provides friends and families a forum to post their favorite stories and memories of Frank P. Simon ensuring the precious experiences are never forgotten. Share joyful times, post a photo that captures the moments you cherish, and allow others to reply, relive and remember.